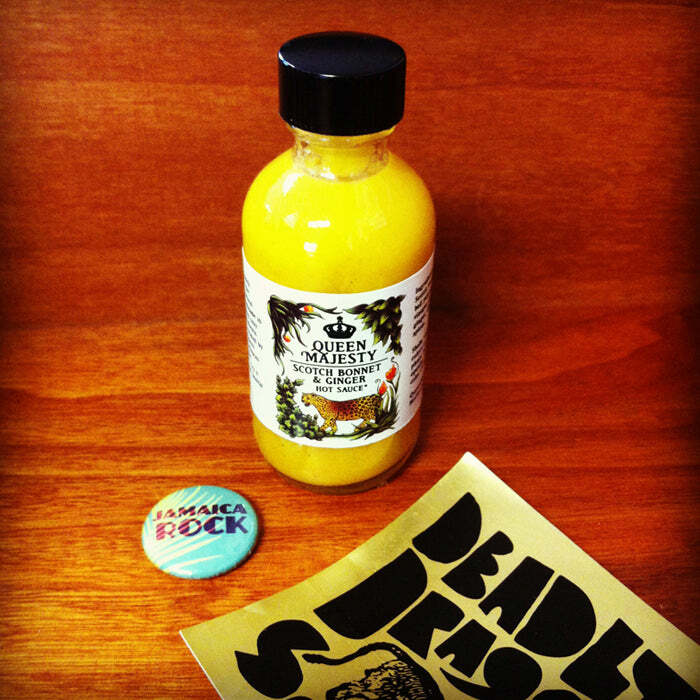 In what is possibly the first food post on this here forum, we introduce to you and yours, all the way from New York City… Queen Majesty Scotch Bonnet & Ginger Hot Sauce — a hot concoction created by the hottest member of NY’s hotter reggae sound, Queen Majesty (Deadly Dragon Sound System). All-natural and hand-made in Brooklyn, it wins bonus points for having the best label in the hot sauce genre (Crystal Hot Sauce comes second). You can get some for yourself here. Dougy’s or Chicken Run might be getting a visit from us later. 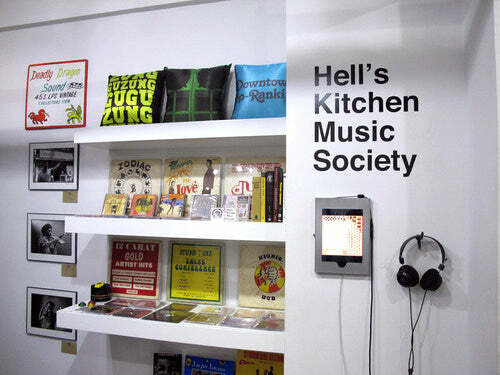 In related news, our friends over at Nepenthes NYC are currently hosting a Deadly Dragon pop-up at their Hell’s Kitchen situated shop, catering for all your vintage vinyl and Yellowman-lyric adorned home-ware needs. A great collaboration.